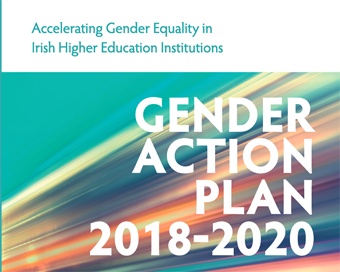 Earlier this week, An Taoiseach Leo Varadkar, T.D, and Mary Mitchell O’Connor, Minister of State with special responsibility for Higher Education launched the Gender Action Plan 2018 – 2020: Accelerating Gender Equality in Irish Higher Education Institutions. The Action Plan is designed to transform the Higher Education sector’s gender equality performance. The Gender Equality Taskforce was established in November 2017 to build on the work of the HEA National Review of Gender Equality in Irish Higher Education Institutions (2016). The Taskforce identified significant measures that will further accelerate progress in achieving gender equality in Irish Higher Education Institutions following on from the recommendations of the HEA Expert Group (2016). Minister Mitchell O’Connor stated that, “Data analysis carried out by the Gender Equality Taskforce in the Action Plan shows that on present trends, if institutions continue with current practices, it could take more than 20 years to achieve 40% gender balance at professorial level. This would be an unacceptable scenario to which a decisive response is now imperative. The Minister went on to say, “This Government and I are committed to eradicating gender inequality in our HEI’s. I am insisting on institutions setting ambitious targets for 1 year, 3 years and 5 years. I want 40% of professors within our institutions to be female by 2024. I believe that reflecting the seminal work of the Expert Group Report which is now reinforced by the Action Plan the Higher Education system is committed to that outcome”. Ireland’s research-funding agencies have welcomed the launch of the Gender Equality Taskforce report. The Irish Research Council; Science Foundation Ireland; and the Health Research Board commended the Taskforce for its work to promote gender equality within the higher education sector. The three agencies particularly welcomed the opportunity to restate their commitment to making gender equality accreditation in higher education institutions a condition of funding, and they jointly support the requirement that institutions must maintain this accreditation. The Higher Education Authority will have responsibility for determining the optimal timing and specific requirements for institutional Athena SWAN certification.